Abandon all hope, ye who still get excited for Sonic games. The once beloved blue blur is these days isn’t exactly a hallmark of quality, and even the best games he’s starred in from the last few years aren’t exactly stellar – Sonic Generations was decent, and Sonic Lost World was mostly good, but then there’s Sonic Boom, which is best left forgotten. Well, the good news is that a truly fantastic new Sonic game looks to be coming out this year, Sonic Mania, the brand new classic 2D title. Oh, but I didn’t play that. I played Sonic Forces. If you’ve played a 3D Sonic game released this decade, then you already know exactly what to expect. Sonic will, for the most part, run from left to right (massive shock, I know) while jumping over spikes and attacking enemies. It’s not a complicated formula, but somehow, Sega is managing to get it wrong. 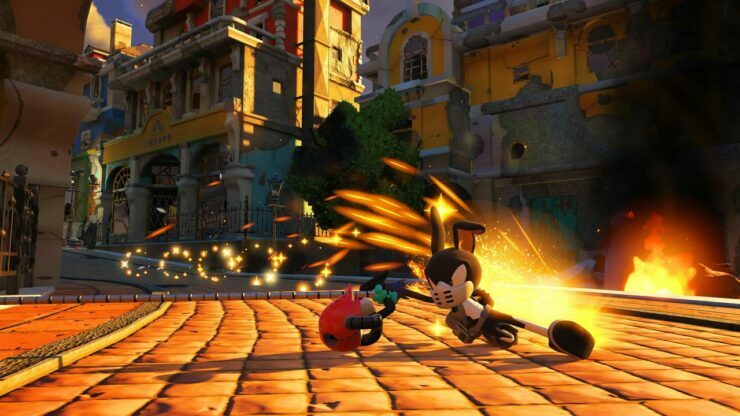 Sonic’s Homing Attack, which has been present since his debut in 3D gaming, feels awful – having to wait for a target to appear on each enemy before you homing attack them slows down progress considerably, and the speedy dash doesn’t feel as responsive or immediate as it should. The brown, disgusting coffee-filtered cityscapes are massive, but possibly one of the dullest things I’ve had to look at in a Sonic, well, ever. It is an absolute universe away from the candy-themed levels in Lost World, most assuredly, and doesn’t improve much when the camera flicks behind Sonic’s back, where suddenly Sonic is essentially running in four lanes you can switch between – and that’s definitely not a good solution to the modern behind-the-back style of Sonic gameplay. Flicking over to the Classic Sonic – yes, that cute little guy from Generations is back for some reason – and we see a boss from Sonic’s history, only with a brand new transformation to mix things up. 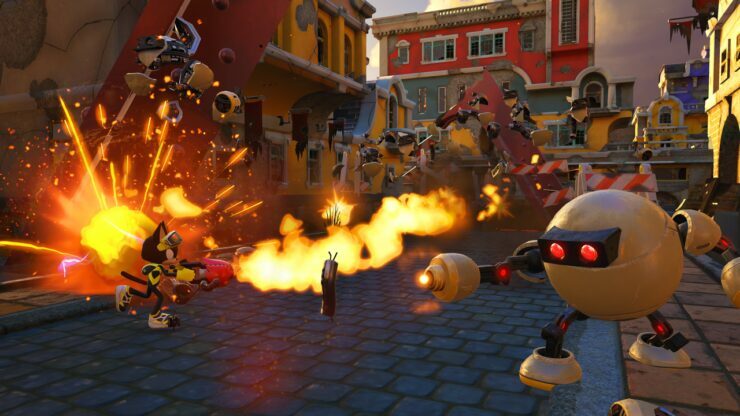 Eggman’s giant robot thing will hover in the background as he flicks projectiles at you – some of which you can knock back. If it sounds familiar, that’s because it feels like most bosses in Sonic games. But of course, Sonic is hardly the only draw for Sonic Forces – the true fans will be out in force (ha) just to get their hands on the brand new character creator. 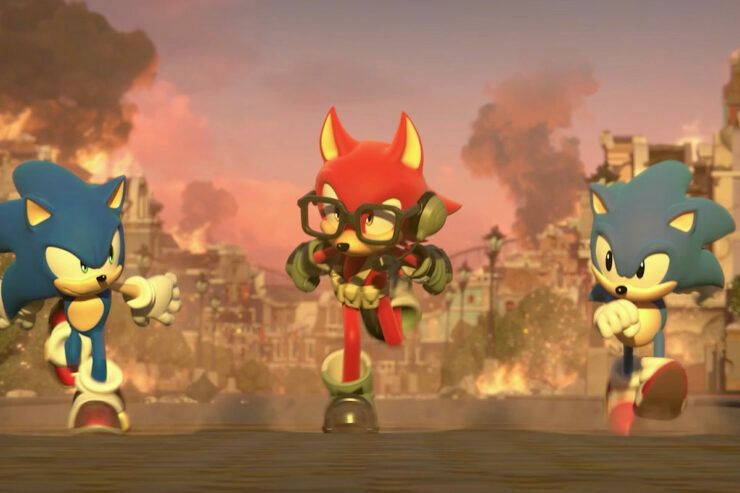 Yes, all the best Sonic OCs can finally be created and played in-game. I got to take a very brief look at a few designs made with the character creator, and yes, they look different and varied enough, but I had no real indication of how much detail players will be able to put into their creations. A character creator tool is honestly harmless – but creating your character feels a bit pointless when there’s no variety of what you can do in-game. 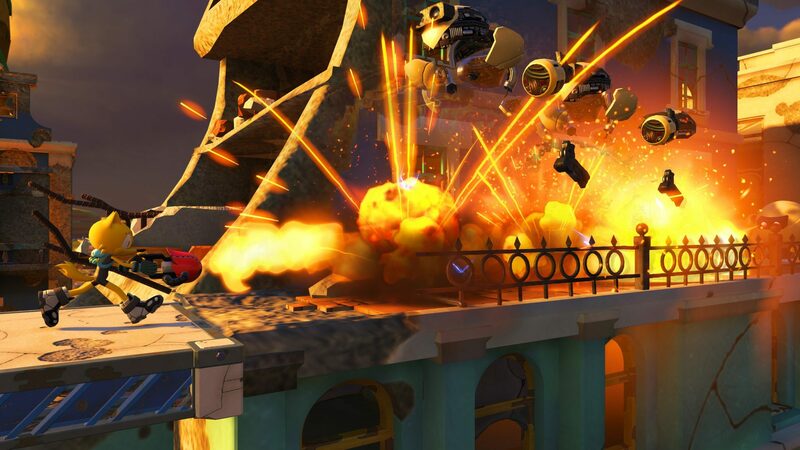 From what we were able to see, all of the OC characters will play identically, using a grapple gun to swing around objects, and using it as a homing attack – essentially making all of the OC stages play like Sonic, but my OC also happened to have a flamethrower. It killed enemies quicker but still didn’t manage to make the game fun. Unfortunately, it’s incredibly difficult to get excited for Sonic Forces at this stage. The game didn’t look good (although resolution will definitely be higher on PC, PlayStation 4 and Xbox One versions of the game than Nintendo Switch), it didn’t feel very good to play, stages didn’t feel inspired or interesting… It was just something I played. Or endured. Sonic forces one more 3D game out, but maybe he shouldn’t have bothered.